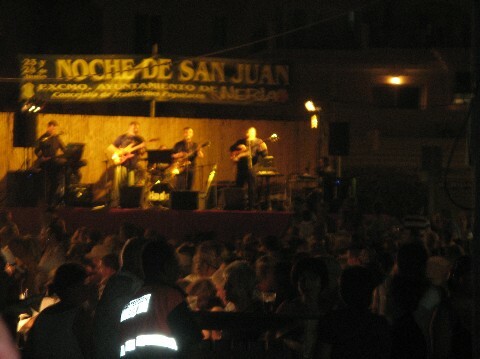 Those of you in the know will realize that Noche de San Juan takes place on June 23rd and here I am, four months later, finally getting around to sharing our experience with you. I did actually write about it soon there after, but somehow the post got filed away and is only now finding its way to being published. Though the evening ended long ago, its smells, sights and sounds are still with me. 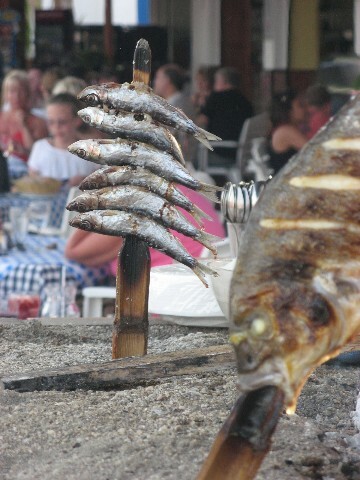 You don’t easily forget the smell of sardines roasting in the sand, hundreds of them lined up and down the beach, their skin popping and crackling and filling the air with the scent of salt and fish. The boardwalk and beach in Nerja were full of tourists and Spaniards alike, a feeling of celebration and fun in the air. We’d heard through the local chatter that there would be bonfires lit on the beach, and then at midnight you were to run into the sea to wash away your worries and start the year anew. I have since discovered that Noche de San Juan, or Saint John’s Eve, is celebrated throughout the world, from Puerto Rico to Ireland, with many different interpretations of the significance of the evening and following day. What began as a pagan celebration of Midsummer’s Night grew into a Christian holy day to honor John the Baptist and now, from what we experienced, a celebratory night of various rituals. The traditions of the evening began with the pagans, who celebrated the summer solstice with fires. With fire’s ability to cleanse and renew, the bonfire symbolized the burning of the old to give way for the new. 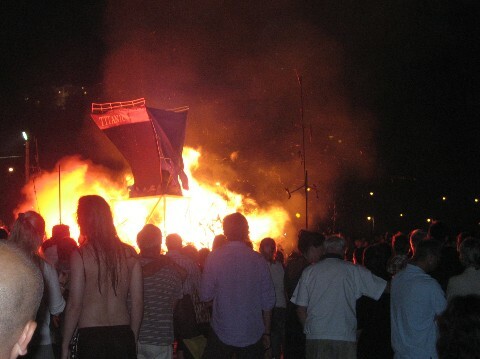 According to some traditions, if people jump over the bonfire three times on San Juan’s night, they will be cleansed and their problems burned away. In some towns, three wishes are written down and thrown into the fire. Typically the wishes focus on taking away anything bad or negative. In coastal areas, there are water rituals that provide purification. 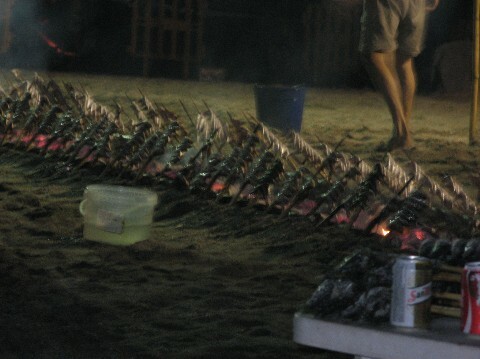 Some time ago, Spaniards did not visit the beach until Noche de San Juan when thousands of people would collectively wander into the sea at midnight to wash away their sins. After our dinner of paella and wine, calamari and Fanta limon, we strolled out to the beach. The bonfires were lit up and down, the music blaring, people dancing in the sand. We four sat on the beach, waiting for midnight and the signal to run into the water. Some families were prepared with their bathing costumes and towels, others, like us, intended to wade in, our worries only ankle deep! The water was cold, the mood celebratory, dancing, partying going on all night long. It was one in the morning when we decided to head for home, the festivities really just beginning and going on all through the night. The Eve of St. John.